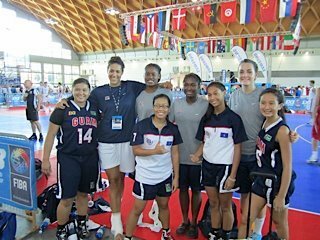 Standing below 5'11 except for Michael Sakazai, the boys' and girls' who have been chosen to represent Guam in the first ever FIBA 3x3 Championships in Rimini, Italy, did not do too bad. In other words and not looking at wins or losses, it was a major success and a great experience for all. When does Guam have the opportunity to play powerhouse teams in this level? How many young athletes is given this opportunity? This was the first opportunity to do all these. FIBA 3x3 is no ordinary 4 quarter, full court, 24-shot clock, etc. type of game. 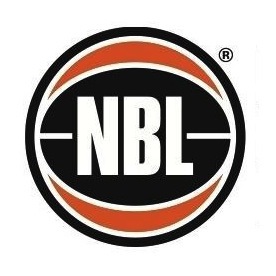 It is the most intense, no cocahing involved, 12 second shot clock, 3 players on the court, 5 minute quarters with a minute break between quarters - in short - it was a controlled 3 on 3 pick up street-game. Interesting yet? I just started. Our very own Jarred Meno took home the Silver Medal for the shoot out competition and was scouted afterwards. 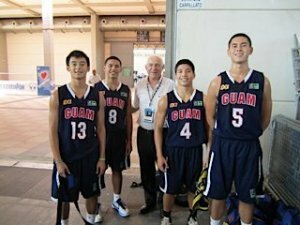 The boys' got to meet the FIBA Oceania President, hung out with all the teams and made new friends, played basketball all through their stay, and topped it off with a party at the end before coming back home. These boys' and girls' just raised the bar to a higher level by participating in this tournament. Check out the gallery for pictures.